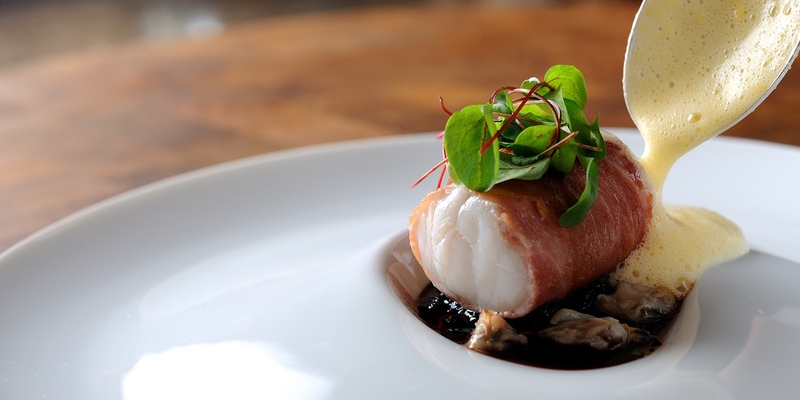 Monkfish is an unusually meaty white fish that unless cooked very carefully can result in a rubbery texture. Cooking it sous vide eliminates this problem as the low cooking temperature results in a tender, perfectly cooked piece of fish every time. Monkfish can stand up to strong flavours so be bold when adding ingredients to the bag during cooking. Spices work really well, especially curry flavours and ginger, garlic and peppercorns are all great to try. Chris Horridge wraps Monkfish in parma ham and serves it with cockles and a lemon sabayon and Josh Eggleton heats things up with his Vindaloo-spiced monkfish with sweetcorn and beetroot.